Works great for a jamb saw!! I don't use this saw often but it's by far the quickest way to cut a door jam when installing tile or hard wood. It's always a clean cut too! Fast, clean cut. 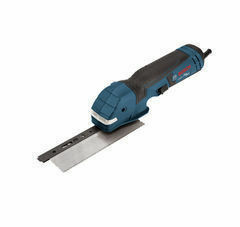 Great for under cutting jambs. Useful enough that it pays to keep it in the tool box. Blades dull very quickly and are too expensive. I would not buy it again if their was a better alternative, like a circular under cutter.